Why do they sit there unopened? Because I already know that information. I bet you know it too. How do we put it to work for us? Create titles that grab attention. Oh well that sounds simple. Right? But... how do I find my target market? 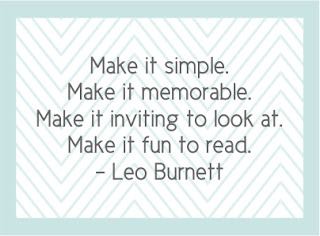 And what IS engaging content? How do I get people to follow me? What if people don't like me being myself and they ::gasp:: UNFOLLOW me?? Where am I going to find the time to do all of this? I don't have anything to say... what would I blog about? Hush! It really is simple... and I'll explain it to you. Trust me, you DO have something to say. People WANT you to be yourself. We just need to do some digging and strategizing and planning. It'll be fun! Every day you'll get a new email with a link to the topic for the day and an assignment. You'll be able to ask questions and we'll work together to get your marketing back on track and running smoothly. So what are we going to do in that 30 days? We are going to create a living brand for your business and let it shine through every aspect of your marketing. You will learn what "Be Yourself" means and once you understand how to do that, you'll have more fun with your marketing and it won't seem like such a chore. At the end of the 6 weeks, you'll have everything in place. Your blog posts planned and you'll know HOW to create content rich posts. Your tweets will be scheduled and you'll know where to find followers. Pin-worthy graphics and photos will be ready for posts . You'll be growing a list and you'll know what to say! And I want you to be able to roll with the changes. I will create a Mastermind Group on Facebook so you can keep up with the changes and we can discuss the best way to make the changes work for you. This isn't a "networking" group. We won't be doing scheduled promoting. This is a group where we can keep up to date & help each other succeed with fresh ideas and opinions. It's going to be some work and you might not enjoy every second of it... but it needs to be done and it needs to be done right. So let's get to work! We already have some awesome businesses signed up... some real smart cookies that I can't wait to work with and that I know you'd love to chat with in the Mastermind Group. Are you ready to get busy with your business? 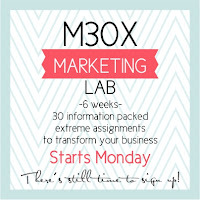 We're starting on Monday... don't miss out!